EAGLE COUNTY — The Education Foundation of Eagle County has announced a new mission and focus for the organization, along with four new board members. A fundraising campaign in support of these new initiatives launches Tuesday, Aug. 28. The foundation will further its role as the community’s voice, supporter and advocate for public education via in-school enrichment programming, mental health support and efforts to retain top teacher talent. This new focus is the result of careful consideration and collaboration within the education community to identify the areas where the need, and the foundation’s ability to make an impact, is greatest. “Despite our booming Colorado economy, Eagle County Schools is still underfunded by $2,685 per student below the national average. This funding deficit is a detriment to in-school enrichment programs, in particular, music and the arts,” foundation executive director Amy Lewis said. “Similarly, student mental health has been identified as a matter of critical concern — an issue that needs more focused support. • Dr. Carlos Ramirez, the new superintendent of Eagle County Schools. 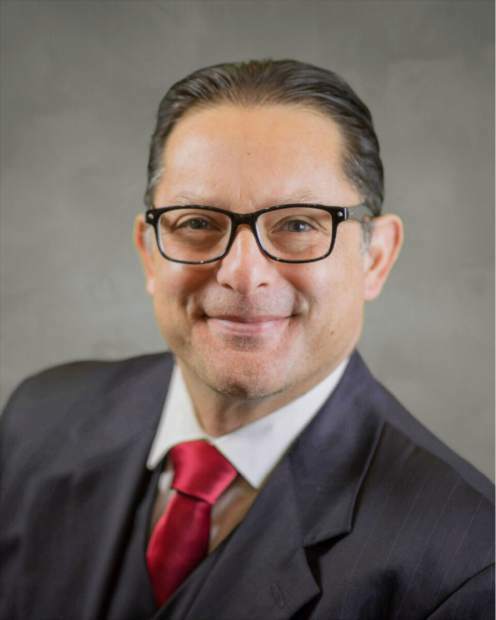 • Dillon DeMore, chief financial officer of Pallet Management Services in Edwards, bringing more than 20 years of financial and business management experience to the board. • Lisa Schanzer, an active volunteer and member of the board of several organizations in the Vail Valley, including Bravo! Vail, Guardian Scholars Board of Directors, Vail Veterans Program and Eagle County Humane Society. • Elisabeth Gart, a kindergarten teacher at Avon Elementary School. “With our newly revised mission, (the foundation) embraces new leadership in the areas of focus we’ve identified as most critical to students and the education system in Eagle County,” said Wendy Rimel, board president of the Education Foundation of Eagle County.